Apple has just announced a new 9.7-inch iPad for $329. The product replaces the iPad Air 2 in the lineup and now available in three colors. The new iPad features A9 chip with the 9.7-inch Retina display. The tablet also supports Apple Pencil. However, the new iPad is about 20% thicker than the iPad Air 2. The new iPad also includes a FaceTime cameras on the front and rear and Touch ID. The tablet is available in silver, gold, and space gray color options. The 32 GB WiFi model costs $329 whereas the 32 GB WiFi + Cellular model costs $459. 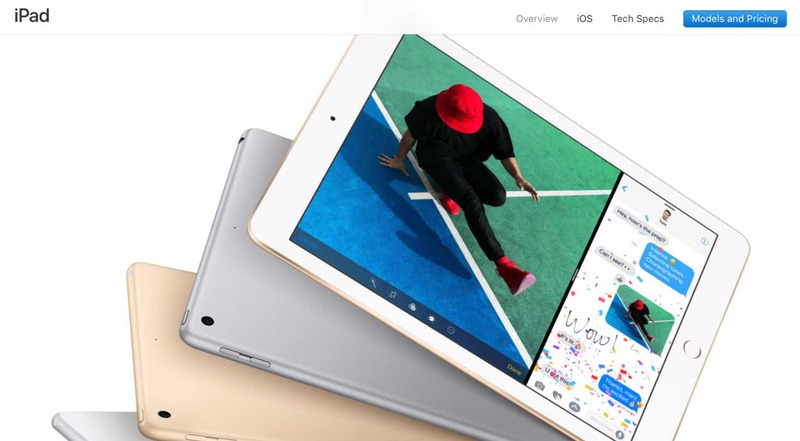 You can order new 9.7-inch iPad from Apple.com starting Friday, March 24th. The iPad will start arriving next week in Apple retail stores, select carriers and Apple authorized resellers in more than 20 countries.